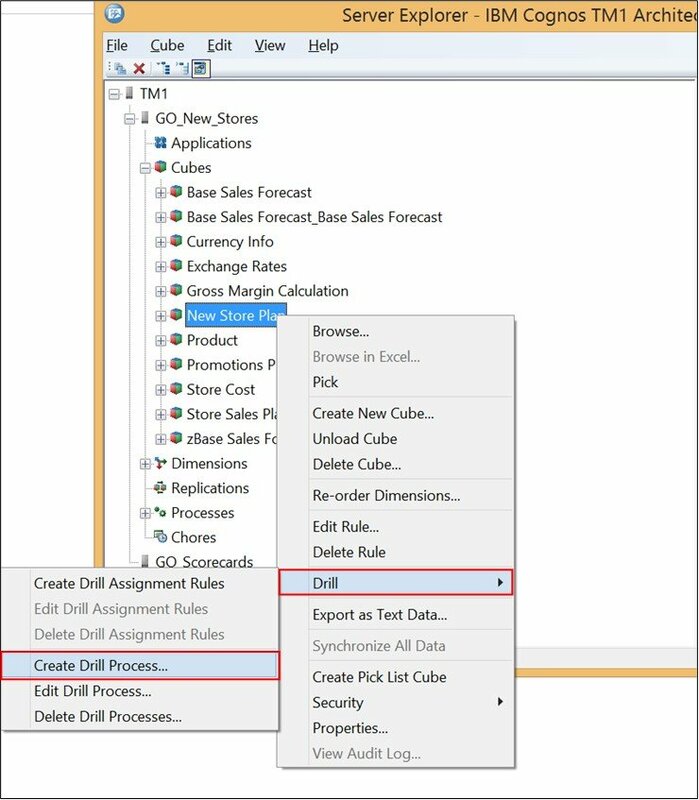 In Performance Modeler we can easily create a drill-through from a link. Refer here for creating link. 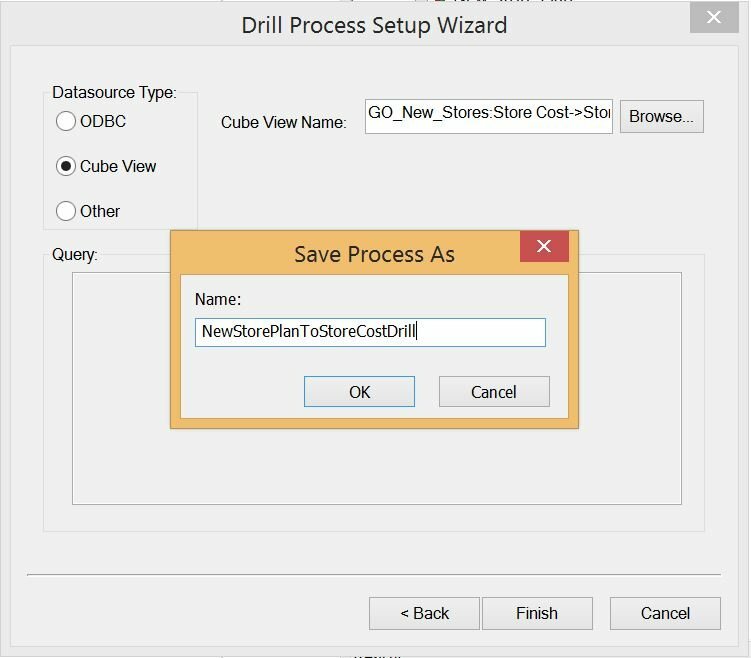 Double click the link and in properties window select Yes for Generate Drill through objects? 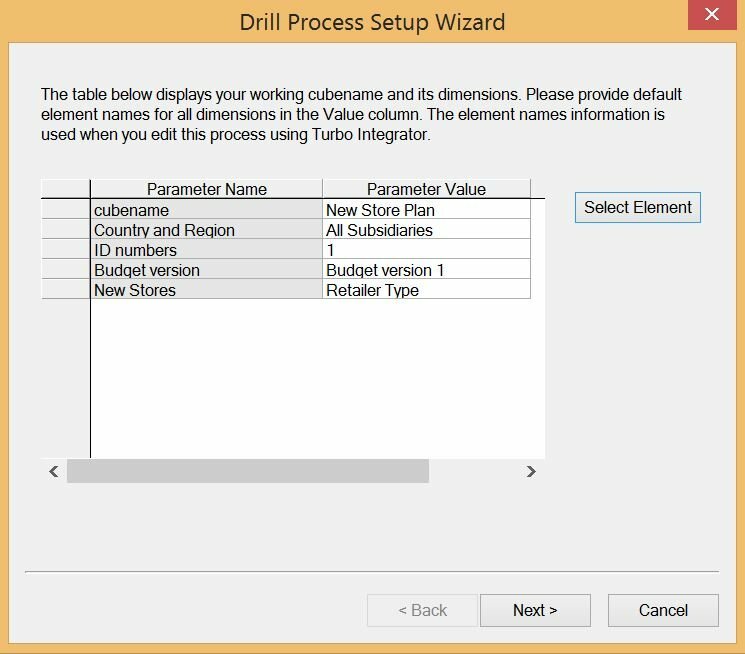 Define the drill-through target view in Drill Through Options, click on icon. 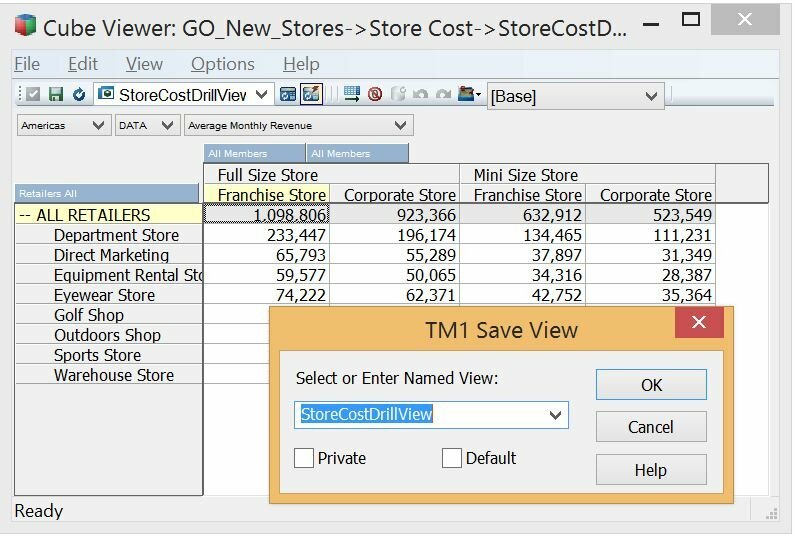 Move the dimension to desired section using arrow on the right side. Open the target cube of the link (we will drill from this cube), right click on the value and select drill. It will open up the source cube of the link. 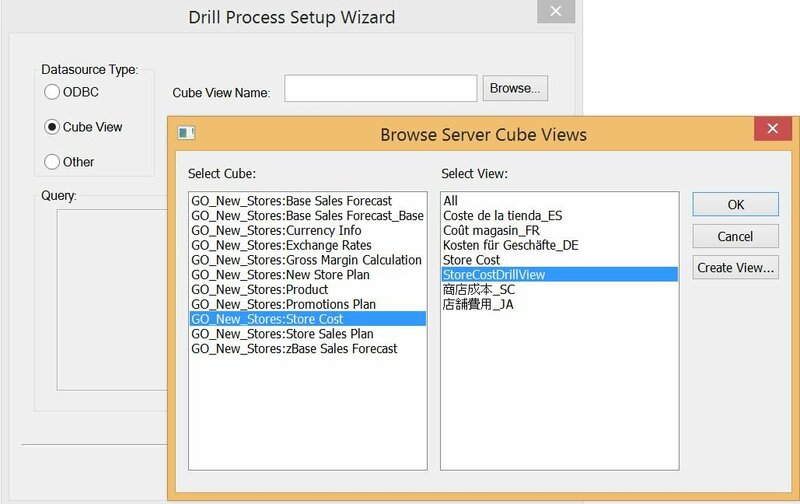 Remember to give the user access to drill through process and cube. 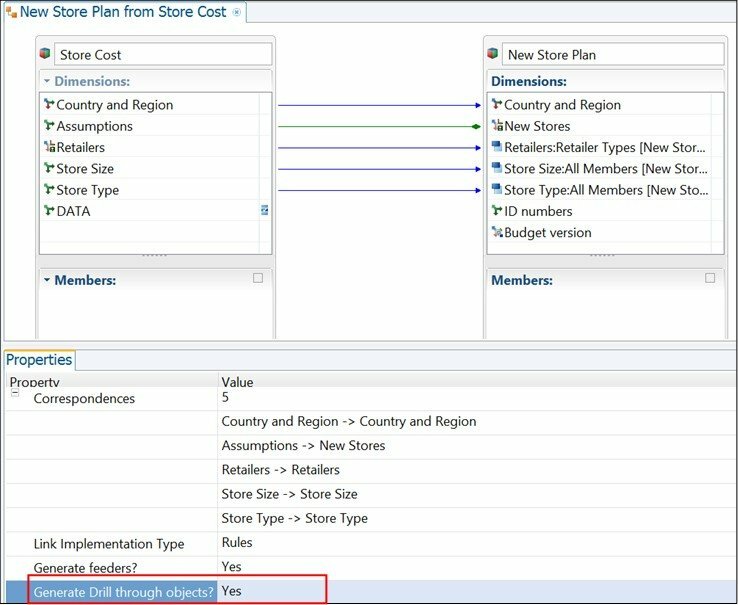 Creating drill through from Server Explorer (Architect / Perspectives) requires more steps. First create view on the source cube of the link (the view that will be drilled to). Right click on the target cube of the link (we will drill from this cube), select Drill, select Create Drill Process. 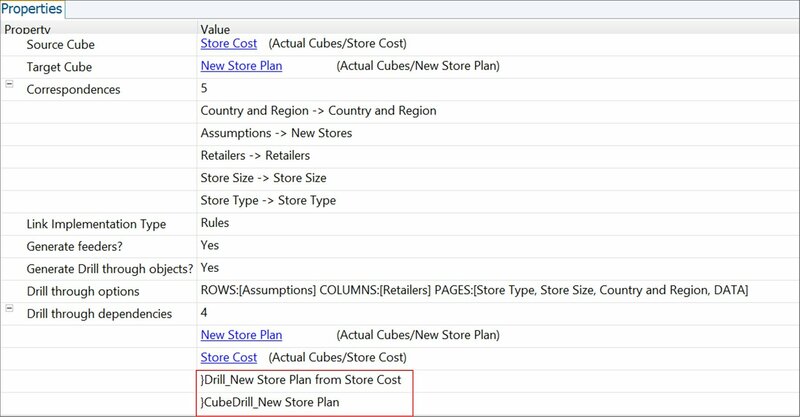 Select Datasource Type: Cube View and click Browse to select the view that we have created.Click OK and Click Finish. 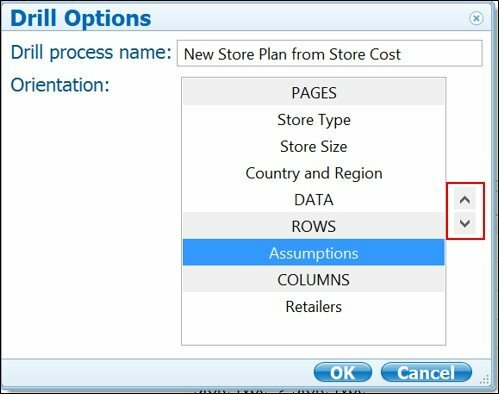 Type the process name and click OK. Right click on the target cube of the link (we will drill from this cube), select Drill, select Create Drill Assignment Rules. 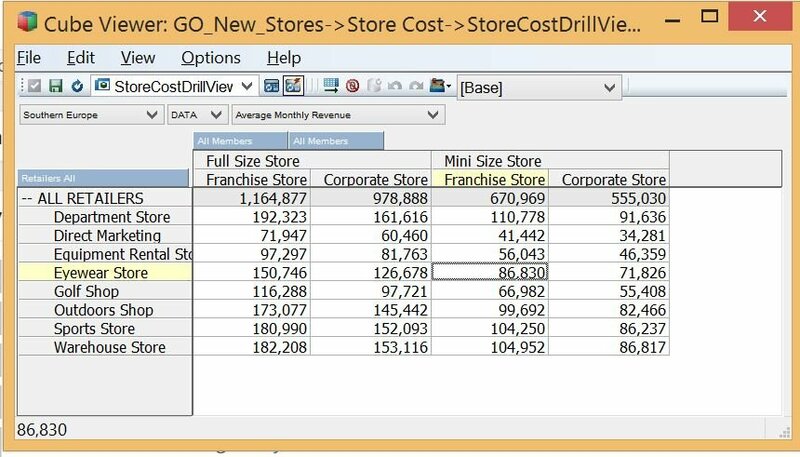 ‘Average Monthly Revenue’ is the measure to drill from and ‘NewStorePlanToStoreCostDrill’ is the drill process we defined above. Click Save and close. 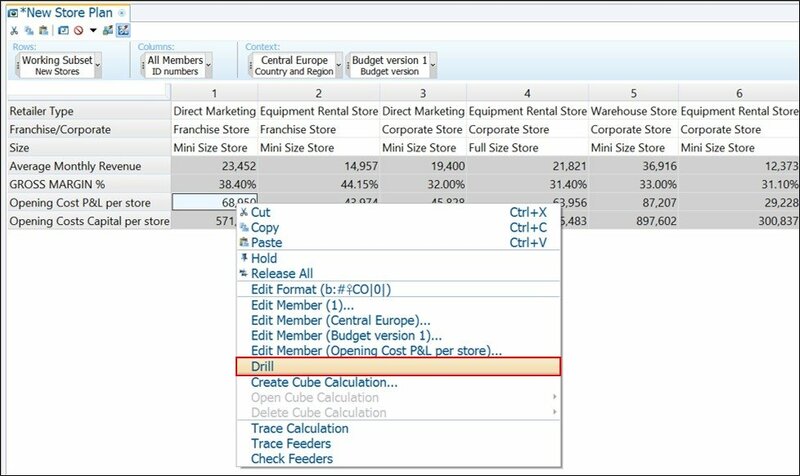 Right click on ‘Average Monthly Revenue’ and select Drill. It will open up the view that has been defined.